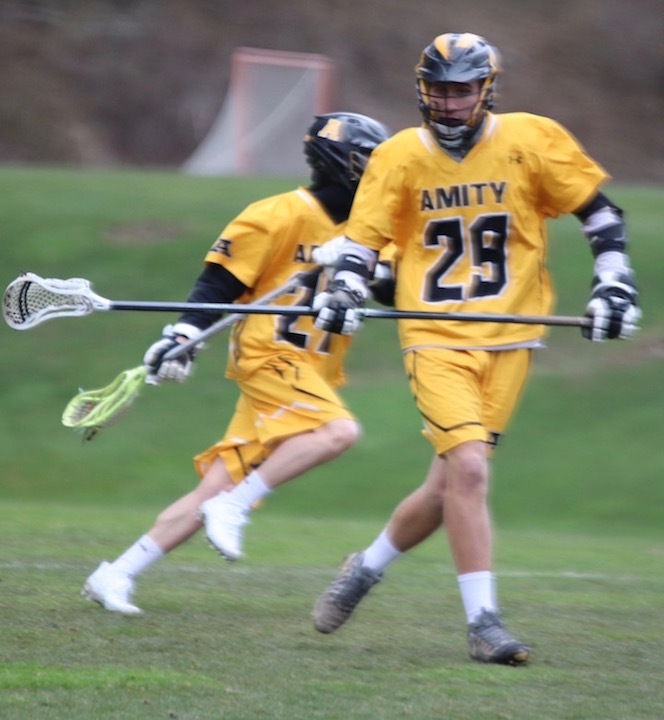 Following is the Amity Varsity Sports Schedule for the week of April 23-28. Boys Golf vs Cheshire HOME at The Tradition at Oak Lane Country Club, Woodbridge 2:30 p.m. Girls Golf vs Daniel Hand AWAY at Madison Country Club 2:30 p.m. 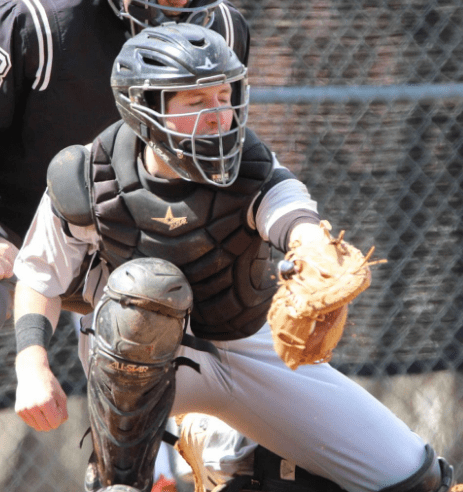 Baseball vs Notre Dame-West Haven HOME at Amity 3:45 p.m. Boys Tennis vs Foran HOME at Amity Tennis Courts 3:45 p.m. 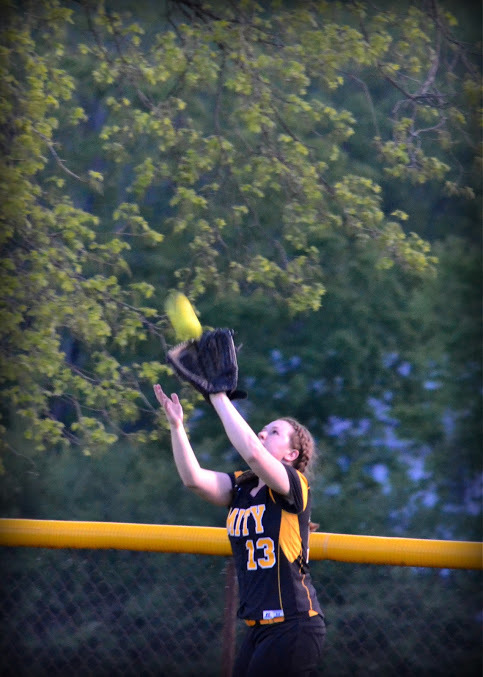 Girls Tennis vs Jonathan Law HOME at Amity Tennis Courts 3:45 p.m.
Softball vs Cheshire AWAY at Cheshire High 4 p.m. 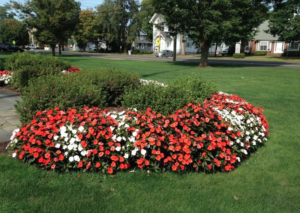 Boys Golf vs Notre Dame-West Haven HOME – The Tradition at Oak Lane C.C. – Woodbridge 2:45 p.m. Boys Outdoor Track vs Shelton, Notre Dame-West Haven AWAY – Shelton High School Track 3:45 p.m. Girls Outdoor Track v. Shelton AWAY – Shelton High School Track 3:45 p.m. Girls Lacrosse vs Guilford HOME – Amity High School – Field # 3 3:45 p.m.
Unified Sports Volleyball SCC Unified Volleyball Tournament HOME – at Amity 3:00 p.m. Boys Golf vs Xavier AWAY Portland Golf Club 2:30 p.m. Girls Golf vs Cheshire HOME Racebrook CC Orange 3:30 p.m. 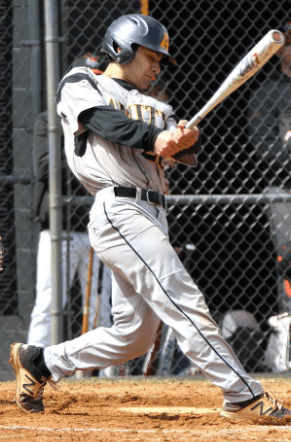 Baseball vs Fairfield Prep HOME at Amity 3:45 p.m. 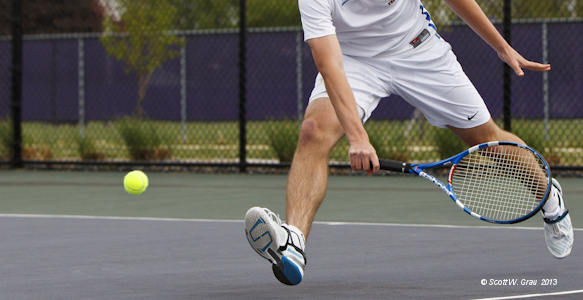 Boys Tennis vs Branford AWAY Branford HS Tennis Courts 3:45 p.m.
Softball vs East Haven HOME at Amity 4:15 p.m. Boys Volleyball vs Oxford HOME at Amity 5:15 p.m. Boys Tennis vs North Haven AWAY No. Haven Athletic Complex 3:45 p.m. Girls Tennis vs Branford AWAY Branford HS Tennis Courts 3:45 p.m. 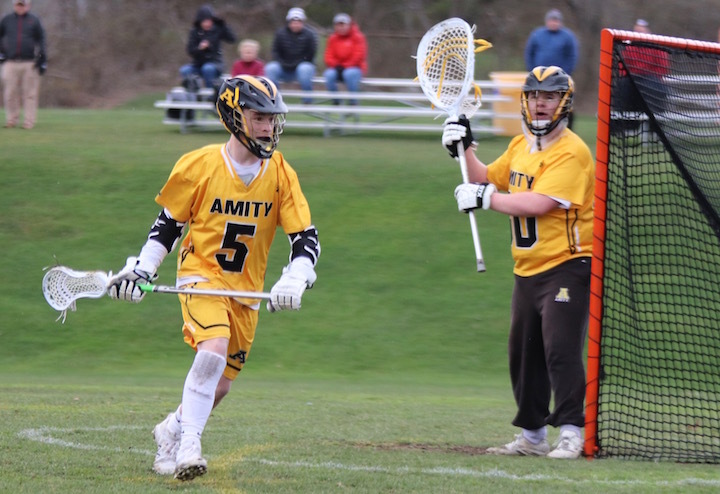 Boys Lacrosse vs Pomperaug HOME at Amity 4 p.m. Girls Lacrosse vs Sacred Heart Academy AWAY Sacred Heart 4 p.m.
Softball vs Mercy AWAY at Mercy 4:30 p.m. Girls Tennis vs Hamden AWAY – Hamden HS Tennis Courts 3:45 p.m. Baseball vs Sheehan AWAY – Sheehan HS Neubauer Field 4:00 p.m. 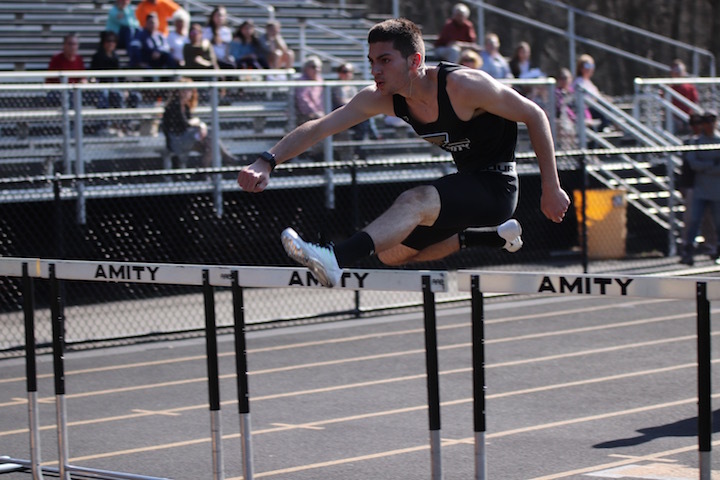 Boys Outdoor Track O’Grady Relays AWAY- Danbury HS 4:00 p.m. Boys Volleyball vs Shelton HOME at Amity 5:15 p.m. 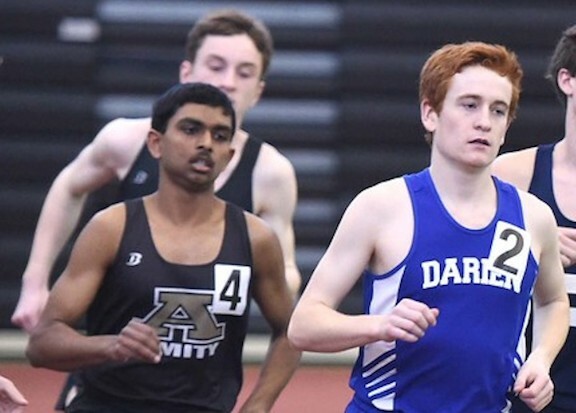 Boys Outdoor Track O’Grady Relays AWAY Danbury HS 9 a.m. Girls Outdoor Track O’Grady Relays AWAY Danbury HS 9 a.m. Girls Lacrosse vs Norwalk AWAY Norwalk High School 7 p.m.